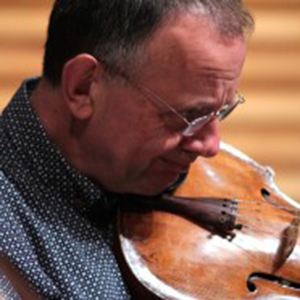 The distinguished viola player and chamber musician, Simon Rowland-Jones was a founder member of the Chilingirian sting quartet, with which he played for 10 years. Simon is also a gifted composer, well known for his many chamber music works. In addition he put to use his vast quartet experience and scholarship in his recent “urtext” edition of the complete Haydn string quartets, published by Peters Edition. Since 2017, Simon Rowland-Jones is Honorary President of the Xenia chamber Music Course. Want to know him better? Here a great conversation with him. 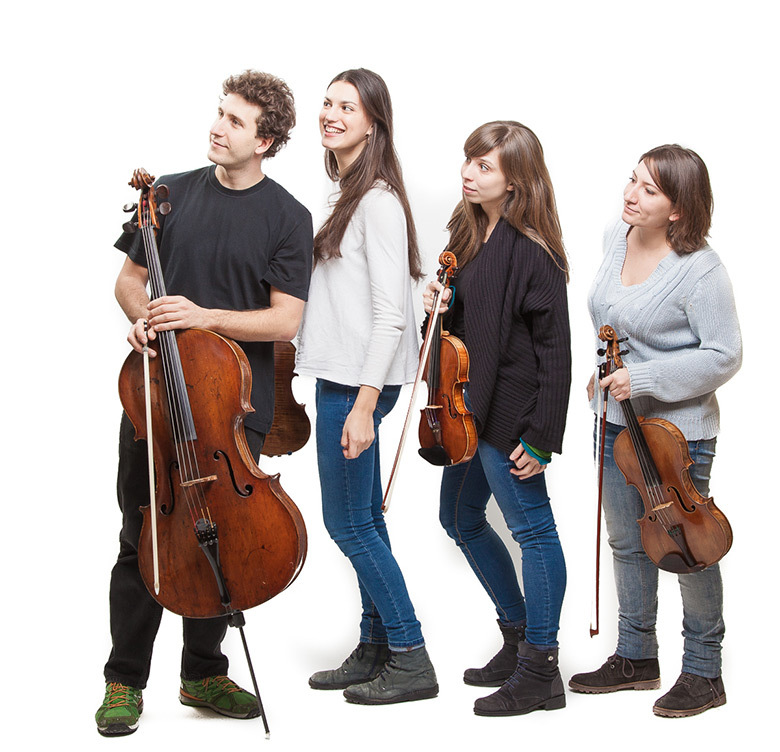 The Lyskamm Quartet was founded in 2008 within the “G.Verdi” Conservatoire of Milan and is the winner of the chamber music prize “Claudio Abbado” Borletti – Buitoni Trust 2016.From 2009 to 2011, the Quartet was mentored by the Artemis Quartet at the Arts University of Berlin. Subsequently, the Lyskamms joined the ECMA circuit (European Chamber Music Academy), a collaboration between some of the most important European universities. In this environment they met important teachers such as Hatto Beyerle, Johannes Meissl, Heime Mueller, Ferenc Rados, Antonello Farulli, Claus Christian Schuster, Jerome Pernoo, Christophe Giovaninetti and Andrea Nannoni. Currently the Quartet is studying with Heime Mueller at the Hochschule fuer Musik in Lubecca.In 2014, the Lyskamms received the Vittorio Rimbotti award, appointed every two years within the “Accademia Europea del Quartetto” in “Scuola di Musica di Fiesole”. In 2015 in Graz, they won second prize at the international competition Franz Schubert und die Musik der Moderne and special prize ” Pro Quartet”.The Quartet just won the first prize at “Possehl Wettbewerb Musikpreis 2015” .The Lyskamm Quartet was a guest for the Quartet Society of Milano, the Mito Festival, the Unione Musicale and the Lingotto Musica of Turin. Other guest work includes the Amici della Musica of Padova, the Quartet Society of Vercelli and the Orta Festival, as well as a live televised performance for RAI Radio3. In 2013 it also participated to the festival “I Suoni delle Dolomiti” as a quintet with Mario Brunello. The Transylvanian-born Stefan Metz first studied cello at the Bucarest Conservatory and then continued his studies with Paul Tortelier. A masterclass of the Amadeus Quartet brought him to the Netherlands where he founded the Orlando Quartet. As the cellist of this quartet he has toured over the world and made more than 20 CD recordings and won twice the “Grand Prix du Disque”. In 1982 Stefan Metz founded the Orlando Festival resulted in a close working relationship with György Kurtàg. As a result, he has frequently performed Kurtàg’s music, amongst others at the Edinburgh Festival, Luzern Festwochen, Wien Modern, Festival d’Automne de Paris, Budapest Spring Festival. Stefan Metz is founder of the Dutch Stringquartet Academy, a post graduate institute for the study of string quartet playing. He performed with Heinz Hollinger, Nobuko Imai, Gidon Kremer, Menahem Pressler, Heinrich Schiff, the Borodin Quartet, members of the Amadeus Quartet. He regularly give masterclasses in Holland, Germany, Great Britain and USA and appears on the jury of international chamber music competitions e.g. Bordeaux, Florence, London, Moscow, Prague. As the cellist of the Orlando Trio in 2003 he has won the “Jahrespreis der Deutsche Schallplattenkritik” and in 2004 the Edison Classic Award. Stefan Metz is appointed Officer of the Royal Order of Orange Nassau.